Now in Butembo, a city of 1 million, the outbreak is second only to the devastating West Africa outbreak that killed over 11,300 people a few years ago. 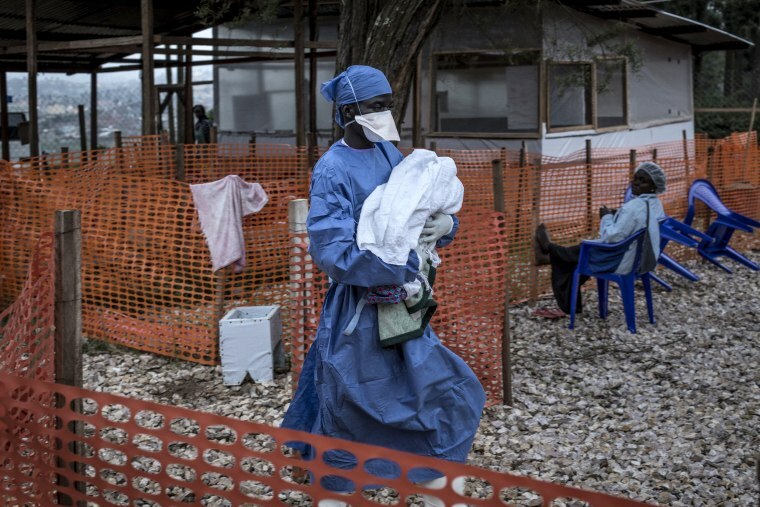 DAKAR, Senegal — The second-largest Ebola outbreak in history has spread to a major city in the eastern Democratic Republic of Congo, as health experts worry whether the stock of an experimental vaccine will stand up to the demands of an epidemic with no end in sight. "We are very concerned by the epidemiological situation in the Butembo area," said John Johnson, project coordinator with Médecins Sans Frontières in the city. New cases are increasing quickly in the eastern suburbs and in outlying isolated districts, the medical charity said. Without the teams that have vaccinated more than 41,000 people so far, this outbreak could have already resulted in more than 10,000 Ebola cases, the health ministry said . "We are extremely concerned about the size of the vaccine stockpile," Dr. Peter Salama, emergencies director for the World Health Organization, told the Stat media outlet in an interview this week, saying 300,000 doses is not sufficient as urban Ebola outbreaks become more common. HealthEbola is back in Congo. This time it may be harder to fight. A "fringe population" has regularly destroyed medical equipment and attacked workers, Dr. Oly Ilunga Kalenga, Congo's health minister, told reporters on Wednesday. The outbreak "remains serious and unpredictable," WHO said in an assessment released Wednesday. Nine health zones have reported new cases in the last week, and some have been unrelated to known victims, meaning that gaps in tracking remain in a region with a dense, highly mobile population. Dr. Fatoumata Nafo-Traoré, Africa regional director for the International Federation of Red Cross and Red Crescent Societies, joined one awareness campaign in the outbreak's epicenter, Beni, this week. Given the years of conflict in eastern Congo, it's essential that households trust why the health workers are there, Nafo-Traoré told the AP.